Jenny Mitchell might not be a name you’re familiar with so let’s remedy that right now. Jenny was raised in the southern town of Gore - New Zealand’s home of country music. The Folk/Alt Country singer-songwriter grew up immersed in the music of Dolly Parton, The Dixie Chicks, Hank Williams and Johnny Cash. 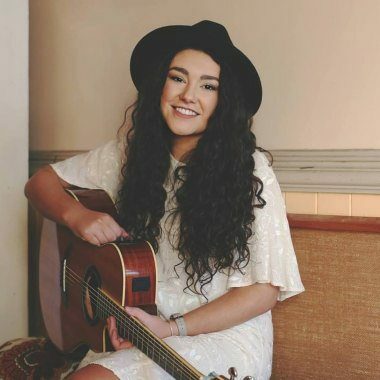 At just 14, the singer placed third in the 2013 season of New Zealand’s Got Talent and ever since has performed right across her homeland in addition to regular visits to the Tamworth Country Music Festival. 2015 marked the release of Jenny’s debut album “The Old Oak” which debuted at No.1 on the New Zealand iTunes Top Music Albums chart and No.3 on the Official NZ Music Chart. While Jenny was initially influenced by her dad’s favourite country music artists, the 18 year old now includes Gillian Welch, The Lumineers, Miranda Lambert and Norah Jones as strong inspirations on her original work. While Shane Nicholson, Fanny Lumsden, Harry Hookey and The McClymonts have given her a strong love for the Australian country music scene. On June 4th, 2017 Jenny’s long-time dream of winning the prestigious New Zealand Gold Guitar Awards came true when she was named the Overall Winner – her first year in the Senior Section. Taking out the title with an original song ‘So Far’, the $15,000 industry-focused prize pack included an Australian country music radio single release with KrisKat Publicity. The single ‘Let Me Be’ recorded with Nashville-based musician/producer Jay Tooke (Jody Direen) is the perfect summer feel good tune and like all of Jenny’s music is based on real life. The track affectionately tells the story of her parents’ relationship. “‘Let Me Be’ highlights the importance of enjoying the small things in life - such as honey on toast and a glass of wine at the end of a big day. I feel that I have grown a lot as a songwriter since my last record and I can’t wait to get my new batch of songs out there. This single is the first taste of the style I’ve worked hard to create and I can’t wait for my audience to hear it”, Jenny Mitchell.